Note: The TTB1840 has been replaced by the TTB1840G. For information on the new model please click here. 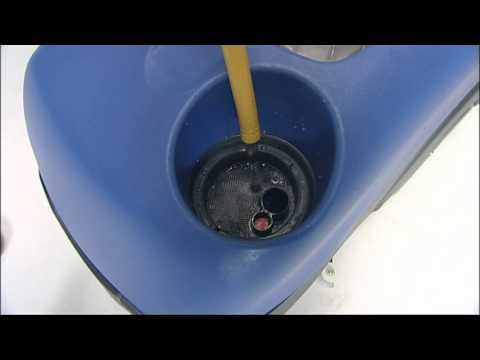 The TwinTec 1840 battery floorcare machine has been engineered to substantially reduce size whilst, at the same time, maximise the performance and handling. With the total freedom of 24V battery, cable free operation, this machine will get into areas and places that other machines simply will not go. 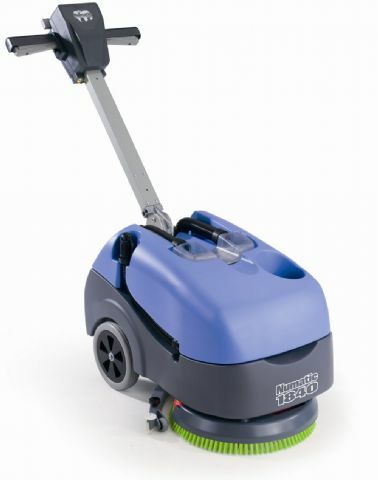 In many respects, the 1840 allows hard floor maintenance in areas previously cleaned by mopping systems, but some 30% faster and to an improved standard. With its low noise level and unobtrusive appearance this machine will find itself fully at home in many, if not all, commercial environments be it hospitals, clinics, restaurants, cafeterias, offices, bank and hotel lobbies, etc. Fitted as standard with our suitcase style 18 amp sealed gel battery pack. A second standby unit allows extended performance, up to 1.5 hours – one battery being used and the other on charge. A separate charger is supplied as standard.